If you want to take optimal care of your skin, you have to know what type of skin you have and what is really good for your skin. 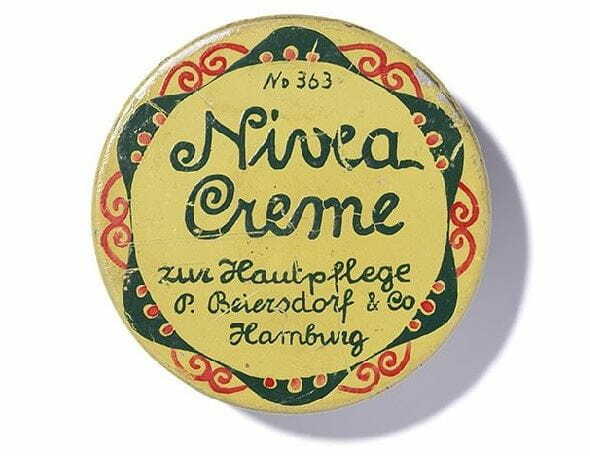 At NIVEA we have been doing skin care research for over 100 years. Here you will find numerous articles that will help you get to know your skin even better so that you can take really good care of it. For lasting beautiful skin, follow our skin care tips and choose a skin care routine that is individually tailored to your needs. First of all, it is important to know your skin type. This is not always easy, because all skin is different and changes over time. Nevertheless, skin can be categorised based on five types: Normal skin is elastic, well supplied with blood and unproblematic. Dry skin is less elastic, more prone to itching and easily irritated. Combination skin often shines and is prone to blemishes in the T-zone, while the cheek area is often rather dry. Blemished skin is often affected by hormones and is prone to increased sebum production, with blackheads and pimples. Added to this is the condition of sensitive skin, which may manifest with all skin types, but often occurs in conjunction with dry skin. Our skin care tip: Always use skin care products that are specially formulated for your individual skin type. Blemished and sensitive skin, in particular, need your full attention. We all dream of having younger, firmer skin. But it is only natural that our skin ages. Our skin’s needs start changing from the age of 30. There are many external factors that affect the ageing process, but decreased activity of the skin cells also leaves its mark. These skin care tips will help you maintain your youthful appearance for longer: Always ensure that you have adequate sun protection, even at an early age. UV radiation causes the skin to age prematurely. Moreover, assist your skin with cellular renewal using creams with Q10 and creatine. Use eye care products – it is around the eyes where expression lines first become visible. Not only the right skin care products but also your personal skin care routine and your lifestyle will affect the condition of your skin. Ensure your skin stays beautiful for a long time with our skin care tips: Make your daily face care a routine: Thorough cleansing in the mornings and evenings is necessary to remove dirt or excess oil. This should be followed by a gentle, highly moisturising cream with a sun protection factor. Applying a rich night cream in the evening assists the natural regeneration process. Our skin care tip: Always use a special eye cream for the delicate eye area. Although the sun is healthy for us, it can be harmful to our skin. You should therefore always apply adequate sun protection. When sunbathing, reapply your sunscreen product every three hours. If you have spent a long time in the sun, you can cool your skin with an after-sun product. Our skin care tip: Always use a face cream with at least SPF 15. Stress and negative emotions can have a direct impact on our skin. An important skin care tip is therefore: Try and create balance in your life. Take more time for yourself and purposely avoid agitation. People who exercise just three times a week for about 30 minutes suffer significantly less from the symptoms of everyday stress. Also make sure you follow a balanced diet. Our skin care tip: A relaxing bath not only eases mental and physical tension, but it also benefits the skin.